National Skilled Care Nursing Week® is just over a month away! Be sure to place your order for our promotional items including: t-shirts, posters, buttons, door clings and balloons. 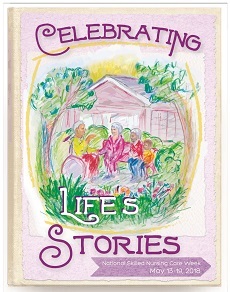 Decorate your center and help promote this year’s theme, Celebrating Life’s Stories. AHCA encourages you to order early for best product selection and size availability. Order online now or call by phone, 800-321-0343. Posters Sold in sets of 4.